Home News Crocodile’s SECRET Past! 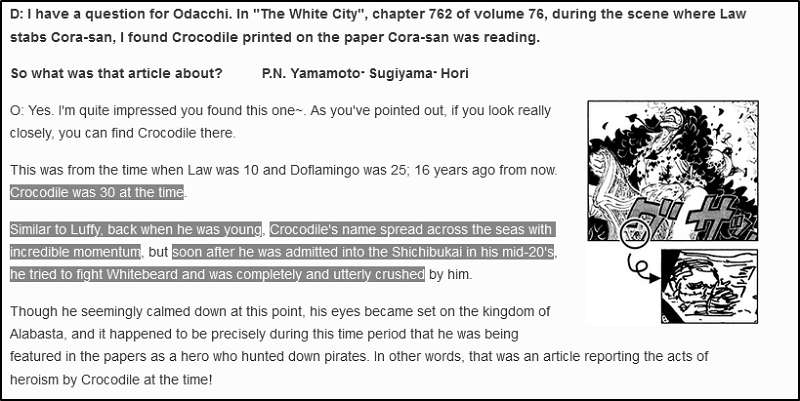 Crocodile was 22 years old when Roger the Pirate King died. As was the case with his death, many who bore witness were inspired by Roger and aspired to become great Pirates or Navy Solders. It only took him a few years as a rookie to become a Shichibukai at which point, he was already in his mid-20s; in essence, from age 22-25, Crocodile had made a name for himself and become a Shichibukai. From the age of 25 to 44 where he’d met Luffy, that’s 19 years (quick maths) as a Shichibukai. 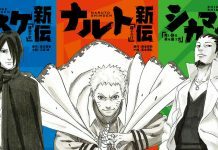 It also bares nothing that Crocodile only gained a bounty of 81,000,000 berries in those 3 years before he became a Shichibukai. As we know a bounty is not just based on strength, but the amount of crimes for the most part and severity, it tells us a character has committed a number of crimes to the World Government’s knowledge. So, Crocodile only had a bounty of 81,000,000 berries in just 3 years before becoming a Shichibukai. 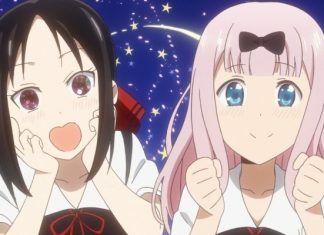 So what is Crocodile’s secret? 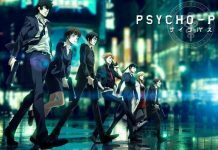 We know it has something to do with Ivankov. 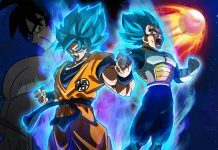 The secular translation talks about knowing his weakness, and that can lead one to assuming he’s talking about his weakness to water, but that doesn’t really seem like a big deal especially since carrying water around just to hit Crocodile is inconvenient, and New World Pirates who are seasoned would likely be able to make use of Haki. 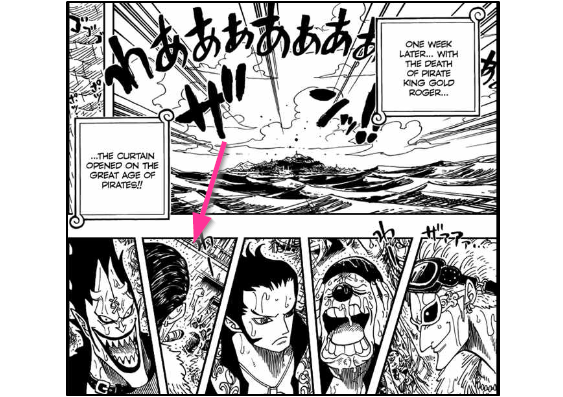 From what I can piece together, I believe Crocodile aimed to become a Shichibukai before going after Whitebeard’s head. He possibly needed to increase his infamy and lure pirates into working under him; in other words, he needed to promote himself a bit more which he couldn’t with just 80 million. 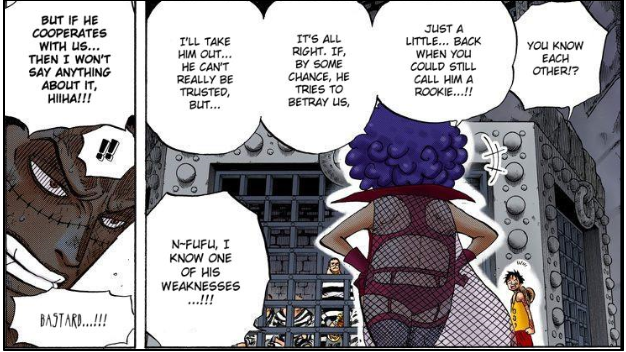 In order to become a Shichibukai, I believe (again, I’m just speculating) that Crocodile handed Ivankov over to the World Government and he became a Shichibukai in return. 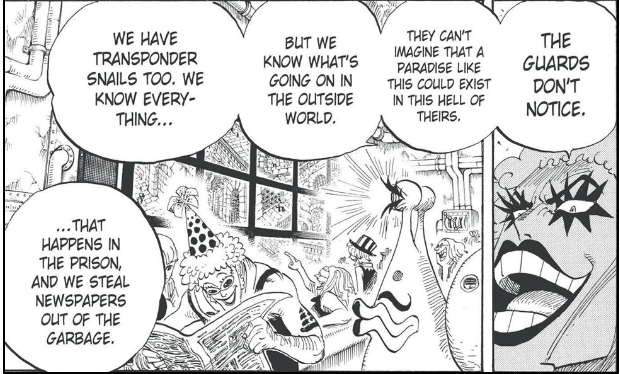 Sounds dubious, but Ivankov wanted to go into Impel Down as he implies to us here for the Revolutionary Army. 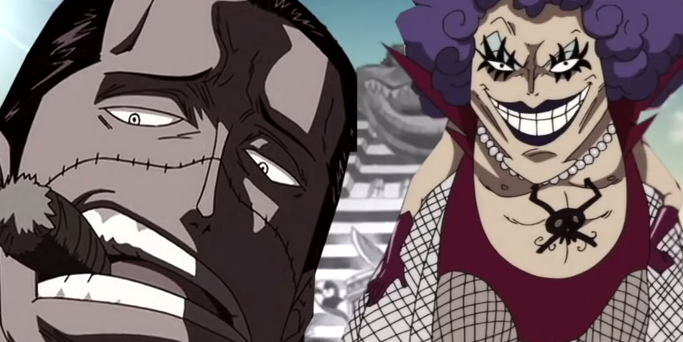 Crocodile pretending to be responsible for capturing Ivankov got him inside the impenetrable fortress to gather intelligence, and this is possibly what Crocodile finds embarrassing and somewhat crippling as he needed the help of another to reach this heights; he in essence is trying to protect his pride and reputation and intends to keep this a secret. We also know that Vegapunk also has ties with the Revolutionary Army seeing as Bartolomeo Kuma of the Revolutionary was worked on by Vegapunk to aid the Straw Hats as Dragon intended. Crocodile may have played a part in even recommending Kuma as a Shichibukai, so this may give some credence to this idea. Crocodile couldn’t get enough infamy to be recognised as a huge symbol of fear, got the opportunity to capture Ivankov and have him placed in Impel Down on behalf of the Revolutionary Army, and this earned him is status as a Shichibukai and infamy. 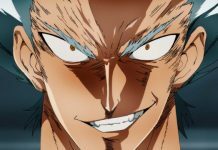 This is what Ivankov holds over him, and as a result, his pride is hurt by his inability to reach such heights without his own power. A bounty of only 80,000,000 berries in 3 years is after-all nothing fantastic, meaning he was never a Super-Rookie implying he never stormed the world of Pirates like Ace & many other notable Pirates did.